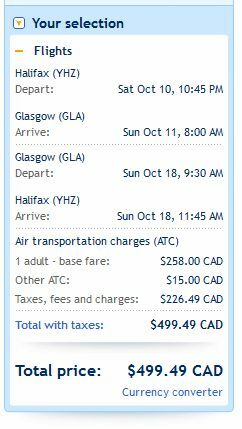 It looks like WestJet is selling off some of their end of season flights from Halifax to Glasgow, Scotland (GLA) for just $499 CAD roundtrip including taxes! So for multiple passengers, and reasonable trip length, using the dates of Oct 10-18 looks to be the one to focus on. Obviously with such limited dates and available seats, this may not last long. Sometimes WestJet adds a few more cheap seats as they go. 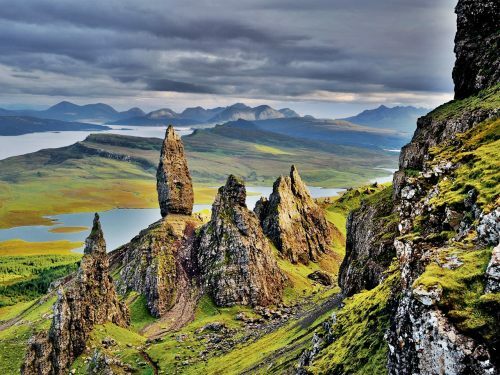 The following AirBNB link will lead you to some great deals on places to stay in Scotland for under $100 CAD/night for 2 people.